No two moms are the same! 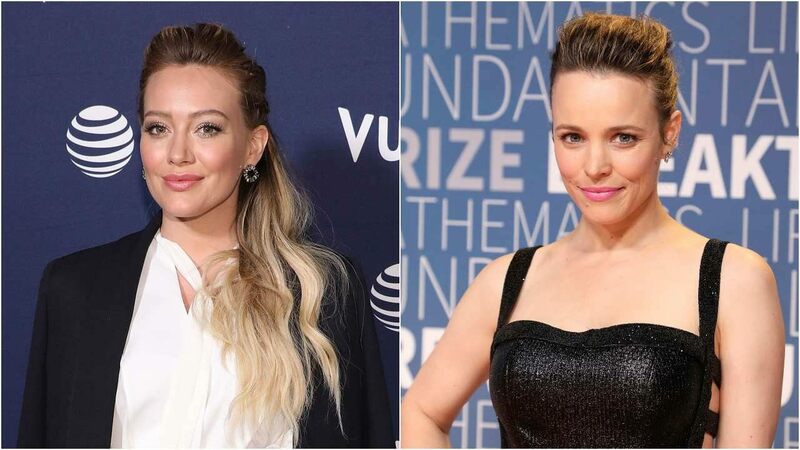 Hilary Duff took to Instagram on Friday to recreate Rachel McAdams' recent high fashion photo shoot, in which The Notebook star proudly used a breast pump while staring straight into the camera. McAdams' photo, which was taken for Girls. Girls. Girls. magazine, showed the actress perfectly done up. Duff, meanwhile, was not. The former Disney star, who welcomed daughter Banks with boyfriend Matthew Koma in October, held her breast pump to her left breast, while sporting an unbottoned shirt and jacket draped over her shoulders, and her hair pulled up in a shower cap in her pic. "Am I doing this right? 😛," she captioned the post. McAdams gave birth to a baby boy with boyfriend Jamie Linden last year, and posed for the photo shoot around six months later, according to photographer Claire Rothstein.